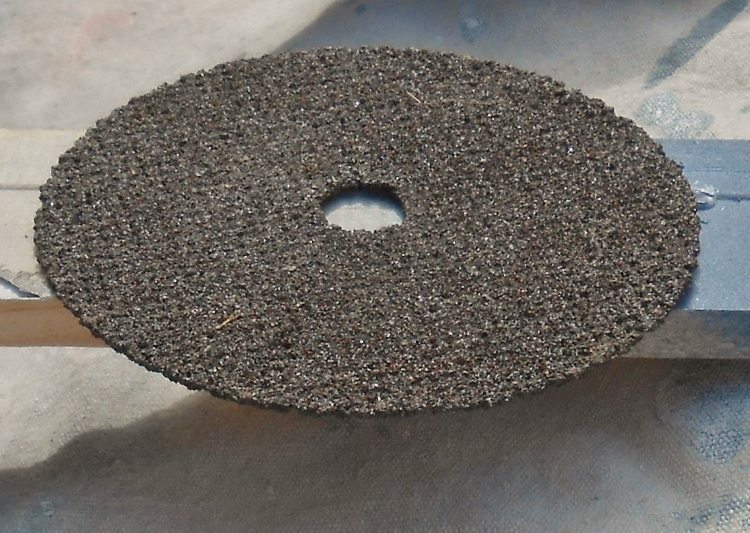 What do an old pallet, old saw blade and an old sanding disc have in common? 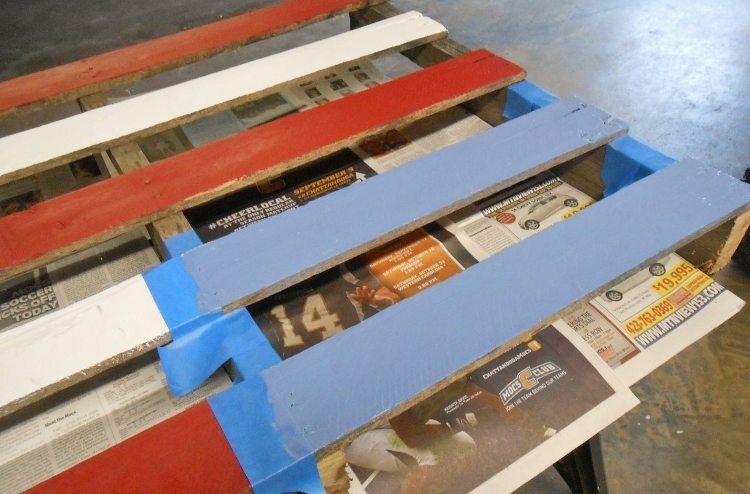 They all make a trash to treasure DIY rustic pallet flag! 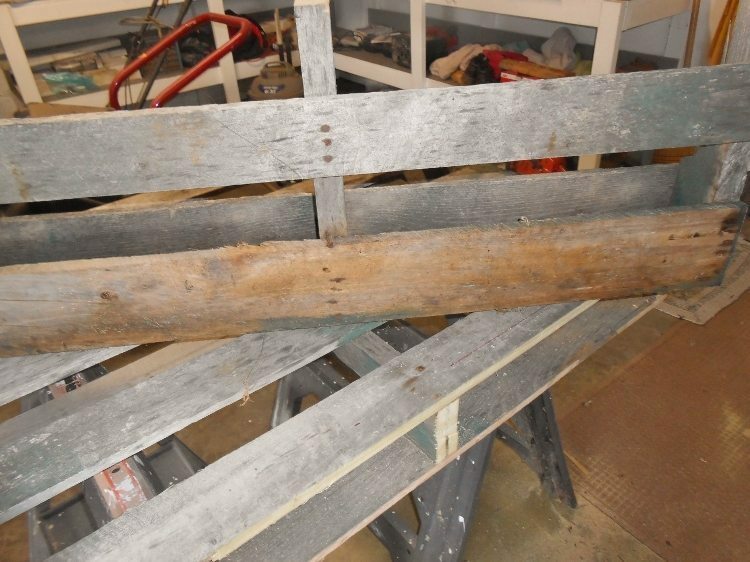 A friend of ours “donated” the pallet and parts to us, as he had no use for them. 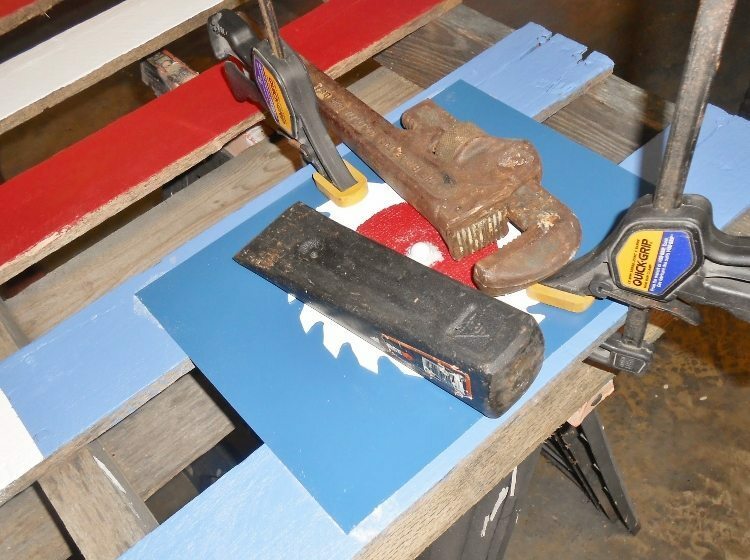 I’ve wanted to make a pallet flag for a long time. Here’s what everything looked like before I began work, well, maybe not, as I’ve already painted the blade in this picture. Because the pallet overall length was long, the last two rows of the pallet needed to be cut off. First the pallet needed to be painted. I didn’t sand anything, just cleaned and painted. I taped off the top corner where the “stars” were going to go. Blue painters tape works wonders! 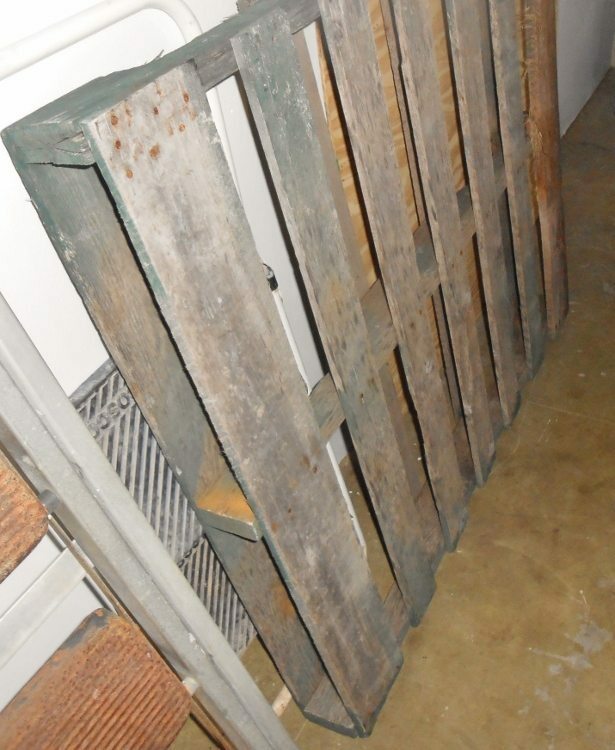 Next, I painted the old metal parts and used Gorilla Glue to hold them to the pallet. When working with this glue be careful because it expands and oozes out from the edges. When everything dried I had to scrap off the dried glue and touch up a few spots. 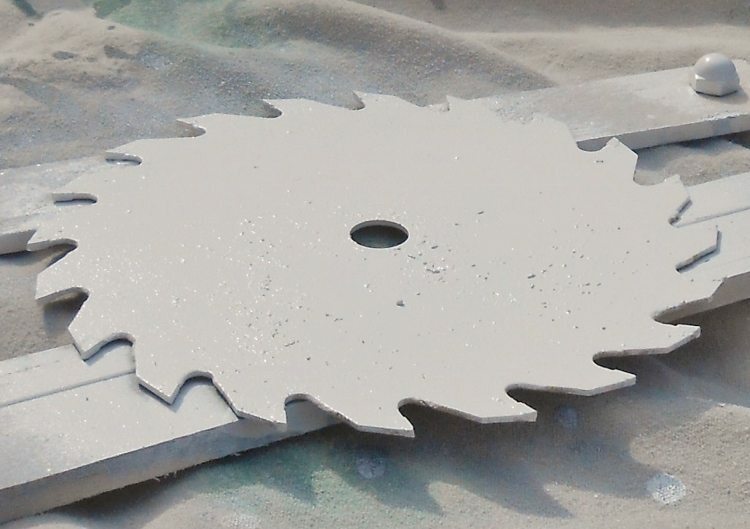 I used an old metal nut for the center of the “flag”; just painted it white and glued it on. I had some wooden stars I painted to add interest. 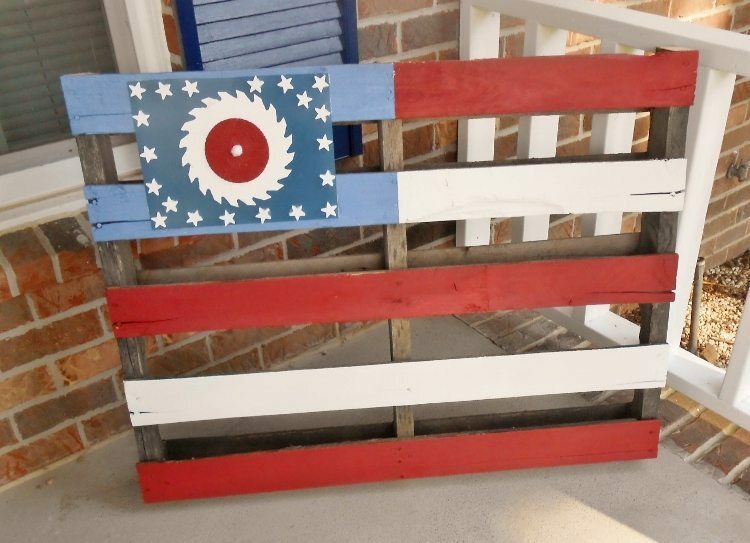 Love my porch pallet flag! Here’s the finished product on our country porch. I don’t have to worry about it in the coming winter months. I like that everything came from our friend’s property and better yet, it cost nothing! Fall is in full swing the South Eastern part of Tennessee. This will be our second winter in the south so we are a little more prepared this time around. Our little 9 pound dog lives in her sweaters! Yard sales have diminished a bit with the cold, but the indoor flea markets are still going strong. I’ve been able to find some rusty gold to put my creative juices to work. I’m happy to be sharing some of these upcycled treasures with you! There are so many holiday traditions this time of year and one of the biggest ones for me is to take some time and reflect on friends and family who have added so much joy to my life. Thank you I am fortunate to have all of you! It’s also a time to give back. A couple of Veterans and I have launched a program called The Pigeon Veteran Outreach Connection. This is a program to help with veteran therapy much the same as therapy horses or dogs but we are using homing pigeons. Homing pigeons have and are being used in the war effort but we are offering them as an instrument of peace for healing. Happy Winter everyone, I wish many blessings for all of you! Outstanding! Keep up the great articles.